There used to be a time when my son as a toddler, used to take a bag of dried apricots from the fridge and devour them as his favorite “apaki”. He is almost three now and has lost his taste for the fruit. So I am devising ways for him to eat it in other forms. Apricots are one of the best sources of vitamin A, but the dried fruit is usually sprayed with sulfur dioxide as a preservative, unless it is labeled organic. I’m wary of sulfites as they can trigger asthma attacks, although I’m not sure if that is one reason for chronic wheezing in my son during winter. While I have not been able to find organic dried apricots (maybe I should try online), I have read that the preservative can be removed to some extent by soaking in water with a few drops of hydrogen peroxide. 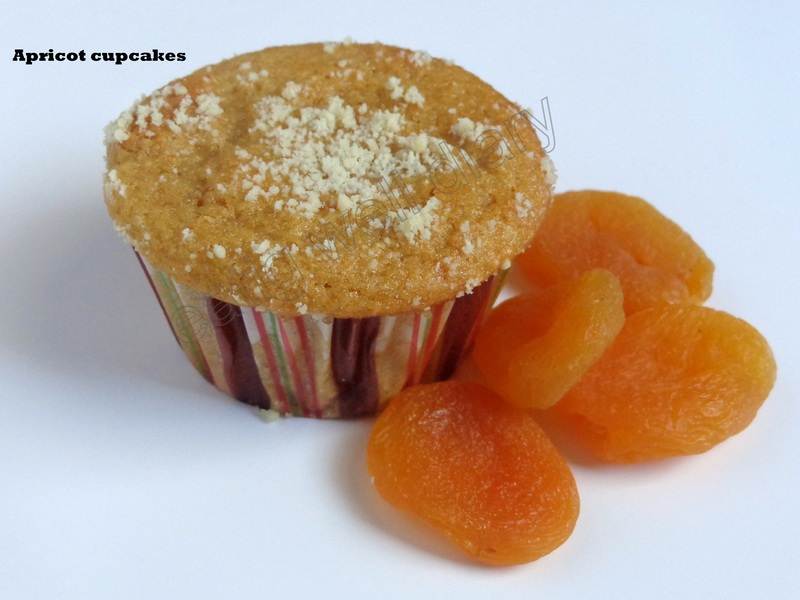 Soaking works well for this recipe because apricot puree is what we need for these cupcakes, I mean, muffins. I want to call these cupcakes because of the texture, but they are not super sweet, you could call it what you want! I’m sending this to Fiesta Friday #6 hosted by Angie. Preparation time: 2 hours to soak and 40 minutes to prepare. 1. 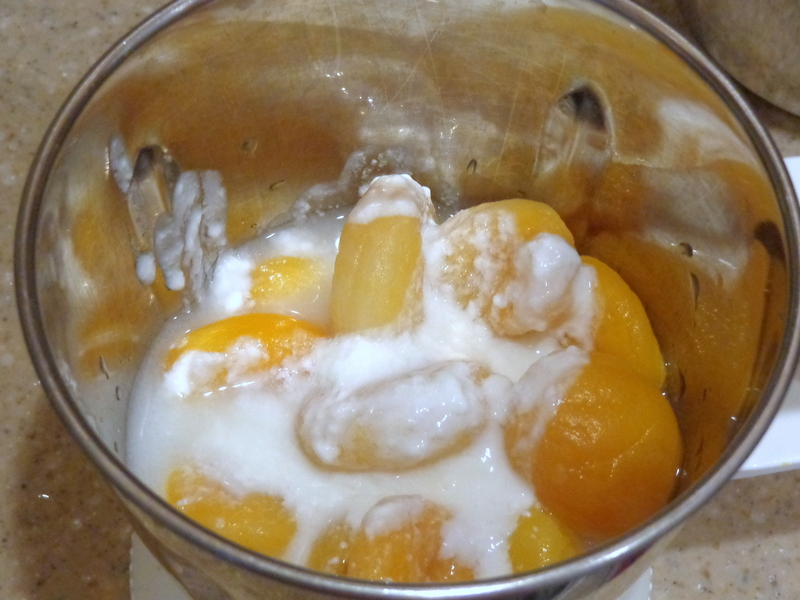 Soak apricots in water for a few hours. I soaked mine overnight. Drain water and rinse. 2. Blend into a puree with fresh water and yogurt. 3. Preheat oven to 350 °F. In a bowl, combine flour, salt, baking soda and powder. 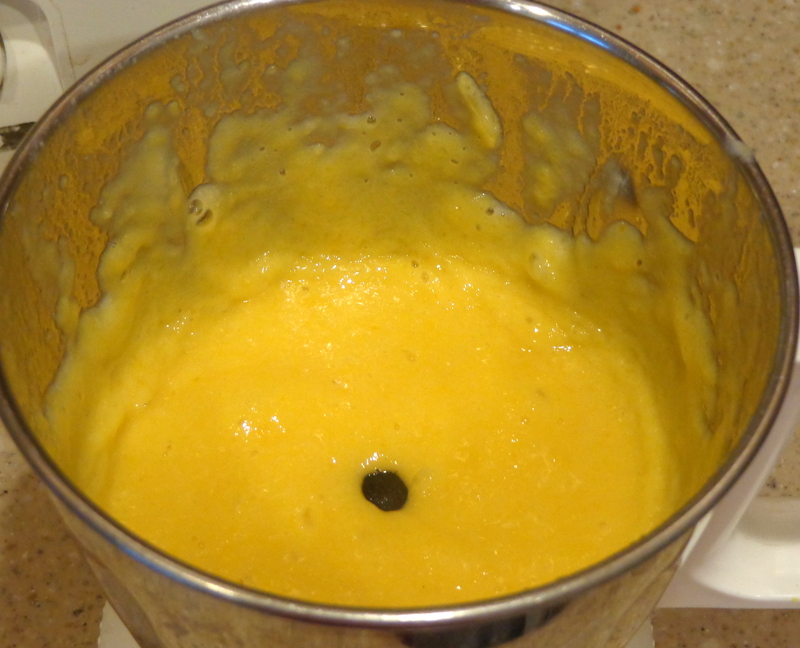 Add maple syrup, apricot puree, oil, vanilla and mix well with a ladle. 4. 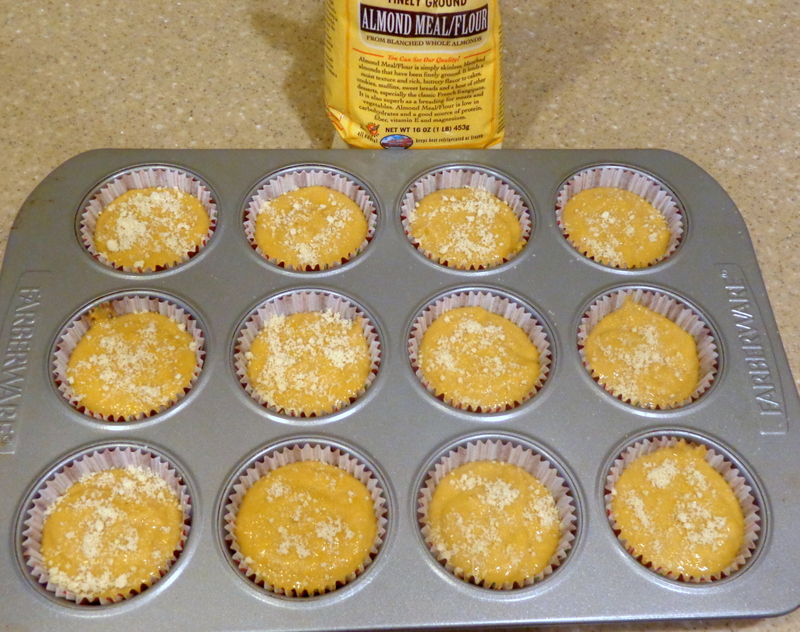 Pour batter into muffin tin lined with cupcake liners. Lightly sprinkle with almond flour. 5. Bake for 28-30 minutes. Cool outside and enjoy these fluffy, super-moist treats! 1. When available, get un-sulfured apricots. They are healthier. 2. 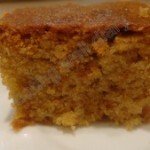 Raisins can be added to the batter to enhance sweetness naturally. Looks delish…I buy unsulphured apricots from Trader Joes but ofcourse it lacks the beautiful orangish yellow color. thank you. The next time I visit Indy, I’ll look for it. Mmmm. I can almost taste these from the pics! They look so yummy! 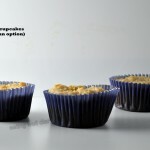 Nice idea for muffins.. a lovely alternative to pumpkin puree ones! that’s true, the similarity strikes me only now! I love that your muffins aren’t super sweet. What a great recipe! Sounds pretty incredible! Love the flavor of apricot, and love the healthy take! thanks, Lisa. Just checked your blog and I like it. Really nice recipe! 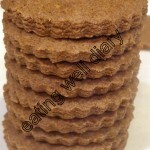 Love the use of whole wheat flour and the fact that you used maple syrup instead of sugar. Thank you. Yes, I’m glad the combination works! Apsara, these are such great healthy muffins! Thanks for sharing your recipe with us! A recipe after my own heart: healthy, tasty and beautiful looking!